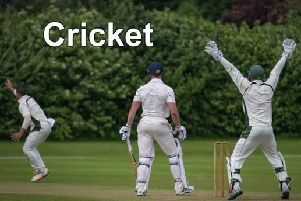 Lincolnshire CCC travel to Sedbegh to play Cumberland in their next Unicorns (Minor Counties) Eastern Division Championship match of the season. The three day fixture commences on Sunday. Cumberland lie one point above Lincolnshire at the top of the league table, so a closely-fought contest is expected. Lincolnshire welcome back Karanjit Bansal and Martin Weightman from injury and there is also a return to the squad for Woodhall batsman, Sam Evison. The full squad is: D. Lucas (captain), K. Bansal, S. Evison, D. Freeman, S. Kelsall, C. Louth, A. Osmond, L. Robinson, A. Shepherd, M. Weightman, A. Willerton and C. Wilson (wkt).